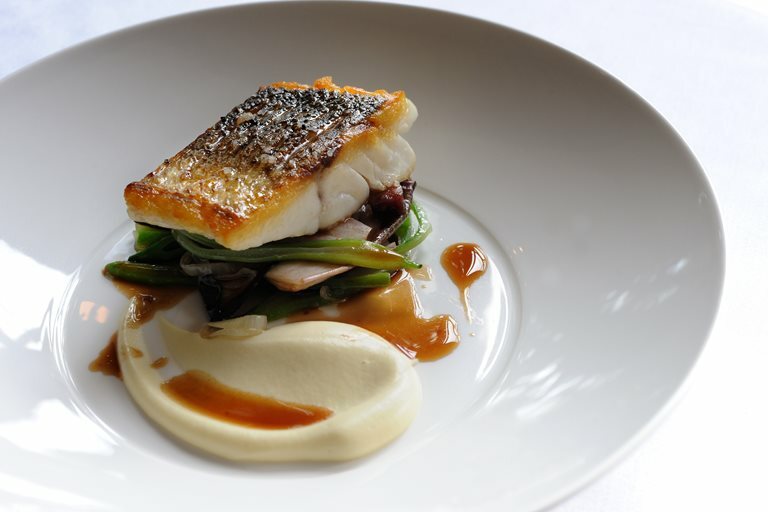 Not traditionally associated with fish, Matthew Tomkinson shows how a beautifully rich red wine sauce can perfectly complement pan-fried sea bass fillets in this carefully balanced recipe. The whole palate is addressed with sweet shallots, creamy, earthy celeriac purée, smoky, salty bacon, and tart, bitter chicory. If making at home, you can ask your local fishmonger for the fish trimmings required for the sauce.